SEL trim. Remote Engine Start, Multi-Zone A/C, Flex Fuel Capability, Aluminum Wheels, Back-Up Camera, CD Player, Auxiliary Audio Input, Satellite Radio. Warranty 5 yrs/60k Miles - Drivetrain Warranty; READ MORE!KEY FEATURES INCLUDEBack-Up Camera, Flex Fuel Capability, Satellite Radio, Auxiliary Audio Input, CD Player, Remote Engine Start, Multi-Zone A/C MP3 Player, Telematics, Aluminum Wheels, Keyless Entry, Steering Wheel Audio Controls.OUR OFFERINGSBaxter Ford South, a full-service Ford dealership in Omaha, is your source for new Ford cars, trucks, vans and SUVs both online and in our showroom. We also sell used vehicles and certified pre-owned Fords. At our 9203 South 145th Street (near Sapp Bros.) location, we also provide parts and auto repair service. We're part of Baxter Auto, the largest dealer group in Nebraska.Please confirm the accuracy of the included equipment by calling us prior to purchase. Remote Engine Start, Dual Zone A/C, Flex Fuel, Aluminum Wheels, Back-Up Camera, CD Player, iPod/MP3 Input, Satellite Radio. SEL trim. Warranty 5 yrs/60k Miles - Drivetrain Warranty; READ MORE!KEY FEATURES INCLUDEBack-Up Camera, Flex Fuel, Satellite Radio, iPod/MP3 Input, CD Player, Remote Engine Start, Dual Zone A/C. 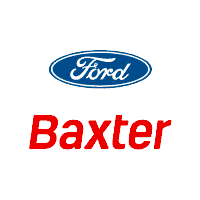 MP3 Player, Onboard Communications System, Aluminum Wheels, Keyless Entry, Steering Wheel Controls.BUY FROM AN AWARD WINNING DEALERBaxter Ford South, a full-service Ford dealership in Omaha, is your source for new Ford cars, trucks, vans and SUVs both online and in our showroom. We also sell used vehicles and certified pre-owned Fords. At our 9203 South 145th Street (near Sapp Bros.) location, we also provide parts and auto repair service. We're part of Baxter Auto, the largest dealer group in Nebraska.Please confirm the accuracy of the included equipment by calling us prior to purchase.